Welcome to the State of Delaware Spay & Neuter Program page. We know you want to keep your pet happy and healthy. Having your cat or dog spayed or neutered, also known as “fixed,” is a great way to ensure your pet’s health and wellbeing over time. The Spay & Neuter Program provides low-cost spay and neuter services to cats and dogs of income eligible applicants. Those who are eligible may have up to two pets spayed or neutered every fiscal year for $20 each. Eligibility requirements are listed below. This important decision can be beneficial for you and your pets in several ways. Accessible, affordable spay and neuter services are also crucial in addressing the problem of pet overpopulation. Spay is a term to describe the removal of the ovaries from a female animal. Neuter is a term to describe the removal of the testicles from a male animal. Once an animal is spayed or neutered, that animal is no longer able to reproduce. Female cats can become pregnant as young as 4 months old and female dogs can become pregnant as young as 5 months old. 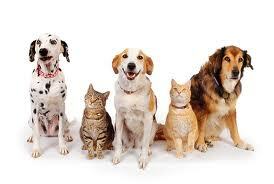 Both cats and dogs are able to produce multiple litters per year. An owner of one female cat or dog can quickly become overwhelmed by kittens or puppies in just a matter of a few months. Not only will spaying or neutering your pets eliminate unwanted puppies or kittens in your own home, it will also reduce pet homelessness and the amount of animals that enter shelters in Delaware. Prevention of testicular cancer in males, and uterine infections and breast cancer in females. A reduction in fighting and the elimination of marking. Neutered male dogs are less likely to develop aggression problems, if neutered when young, or mark their territory. No more heat cycles for spayed females, and no urge for neutered males to roam to find a female in heat. Elimination of unwanted litters, which means fewer homeless cats and dogs in shelters and outdoors. Visit our other pages for more information and to download forms.